The latest iteration of the Acura TLX boasts expert craftsmanship and a streamlined performance. With its elegant details and fluid driving dynamics, this is one sedan that truly offers a ride like no other. We love sharing information about all our vehicles, and today, it’s time to brag about one of our favorite 2019 models that has just became available: the 2019 Acura TLX. Beneath the hood, this new Acura car for sale features a 2.4-liter inline-4 engine worth 206 horsepower and 182 lb-ft of torque. Each trim offers the option of a 3.5-liter V6, which delivers a strong 290 horsepower and 267 lb-ft of torque. The V6 is available with Super Handling All-Wheel Drive™ in place of standard front-wheel drive. The Acura TLX is its own oasis. No matter how long or short your drive may be in and around Huntington, this vehicle is comfortable for drivers and passengers alike. Six-level heated and ventilated front seats are available, as is leather upholstery and GPS-linked climate control. To complement its comfort, the new Acura TLX near Roslyn features a fine range of technologies. For example, both Apple CarPlay™ and Android Auto™ come standard, along with Siri® Eyes Free, HomeLink®, and SiriusXM® satellite radio. In the second trim and up, the Acura navigation systems is equipped, rendering AcuraLink Real-Time Traffic™, Traffic Rerouting™, and 3D view. In terms of driver assistance features, a multi-view rear camera, hill start assist, collision mitigation braking, lane keeping assist, and more come standard. 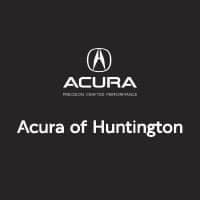 Have you been searching for an “Acura dealership near me?” Look no further than Acura of Huntington. We would be thrilled to show you the new 2019 Acura TLX near Long Island, NY and set you up with a test drive to experience it firsthand.